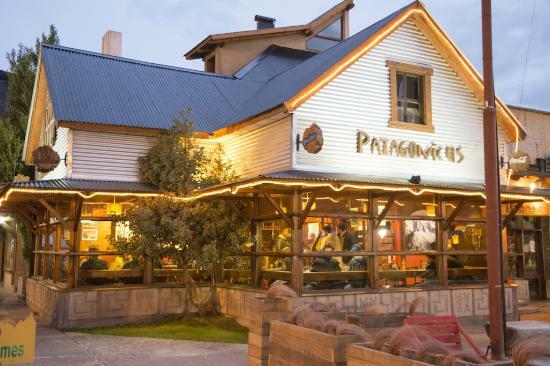 On Swoop’s Sallys most recent visit to Patagonia she spent a few days in her beloved Buenos Aires checking out new hotels, old haunts and getting up close and personal with a few juicy steaks. 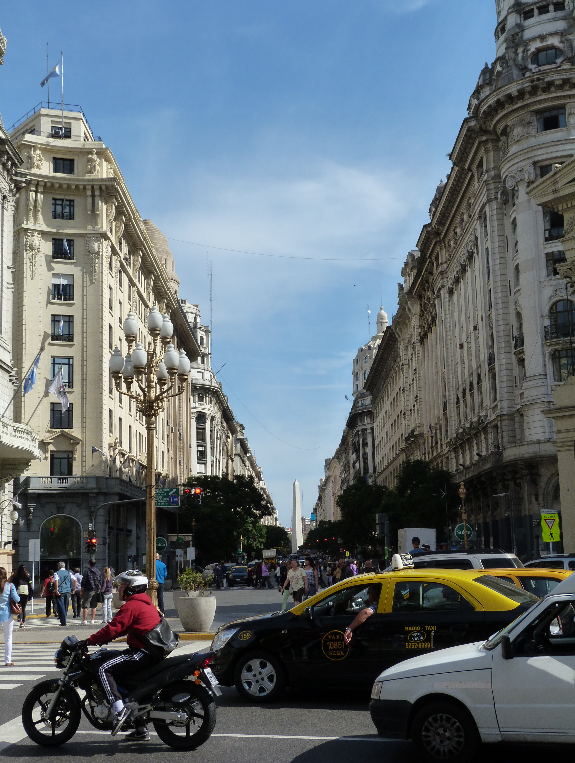 Below she shares a few thoughts on choosing the right hotel for you in Buenos Aires. As in many big cities, Buenos Aires has its edgy side and so choosing where you stay can make a real difference to your enjoyment of the city. There are bohemian quarters, business quarters, the hustle and bustle of the city centre and safer neighbourhoods with bars and cafes. Where you choose to stay will be a very personal choice depending on how you enjoy cities, the style of hotel you feel most comfortable in and the length of time you have to enjoy this vibrant, diverse city. Below I have tried to give a little detail on each neighbourhood where you might choose to stay so you can get a little more its flavour, style and close by amenities and attractions. Palermo is very pleasant! It has some historic buildings dating from the 1920s and is a more relaxed and safer neighbourhood than the ‘MicroCentro’ or ‘San Telmo’. It is residential with an abundance of bars and restaurants. What it lacks are the main historic sights and museums, but these are easily and quickly accessed by the metro. 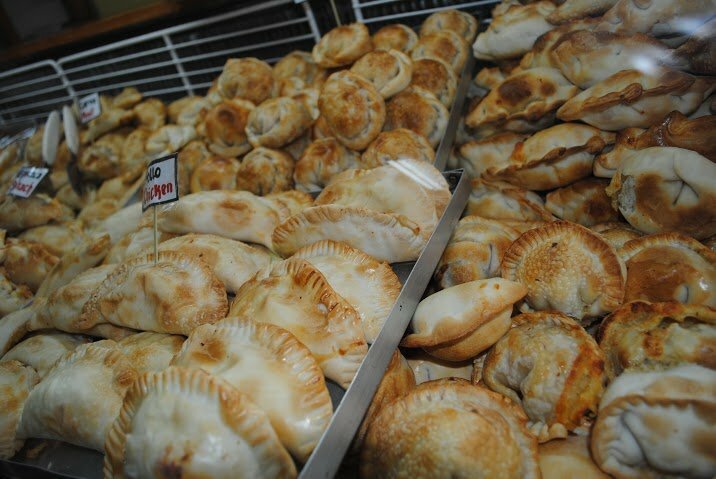 Many of the eateries are fairly new so, in my opinion, lack a certain amount of Porteño identity. 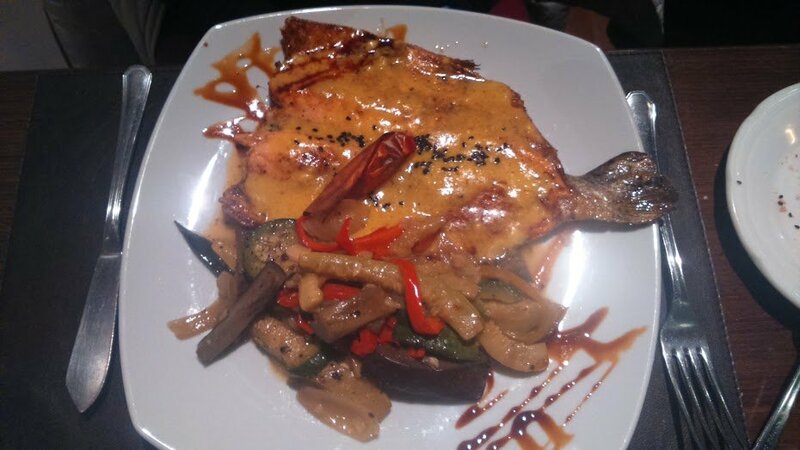 That said, there are a few historic restaurants such as ‘El Preferido de Palermo’ and ‘Lo de Jesus’ which do ooze the porteño flavour. If you’re looking to mix with young porteños, visit historic sights by day then return to a trendy (safer) suburb in the evening, then Palermo is for you. 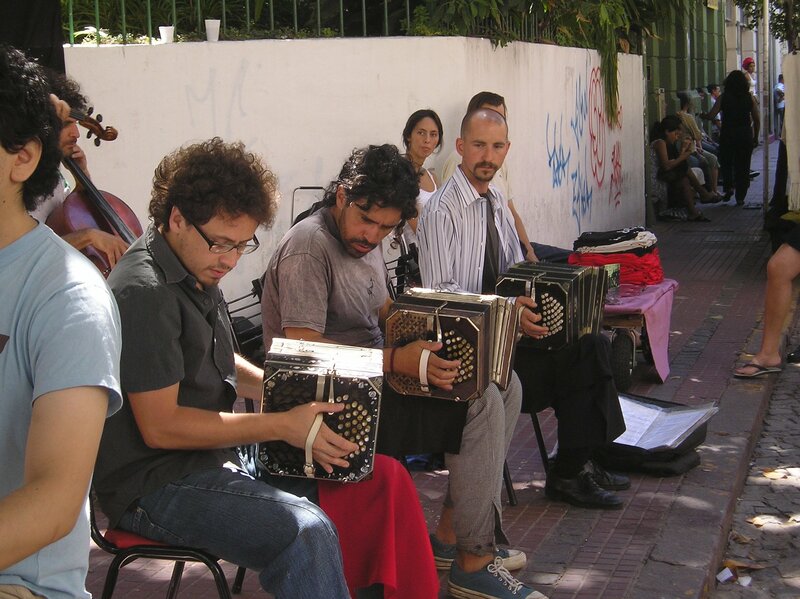 Although not thought of as a bohemian area, I think that compared to most residential streets of anywhere in the UK, it would feel really rather bohemian, oozing with character, great food and a relaxed, charming character (there are enough holes in the pavement and graffiti to remind you that you’re in Buenos Aires). Palermo is divided into 2 separate districts, Palermo Soho (Viejo) and Palermo Hollywood. 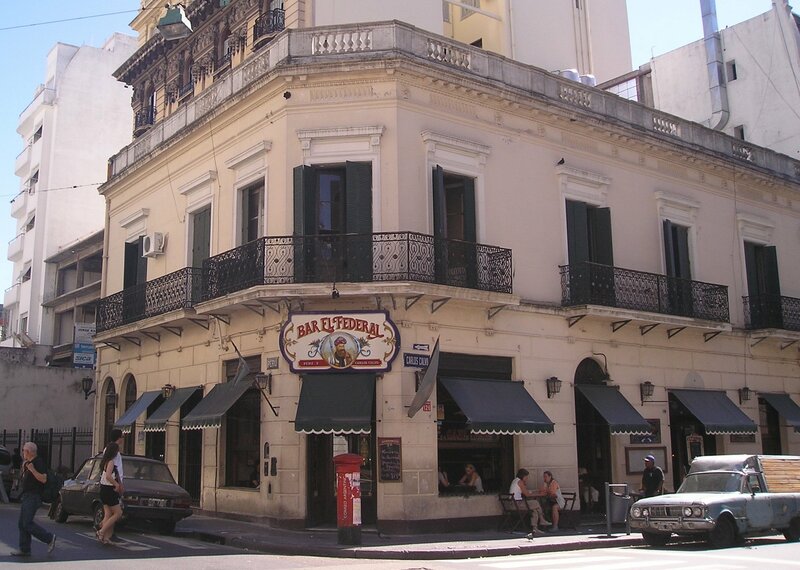 The main hub of restaurants and hotels is in Palermo Soho and is my favourite of the two neighbourhoods. It is the area of the city of a massive block between Av. Santa Fe, Av. Juan B Justo, Av. Cordoba and Av. Scalabrini Ortiz. 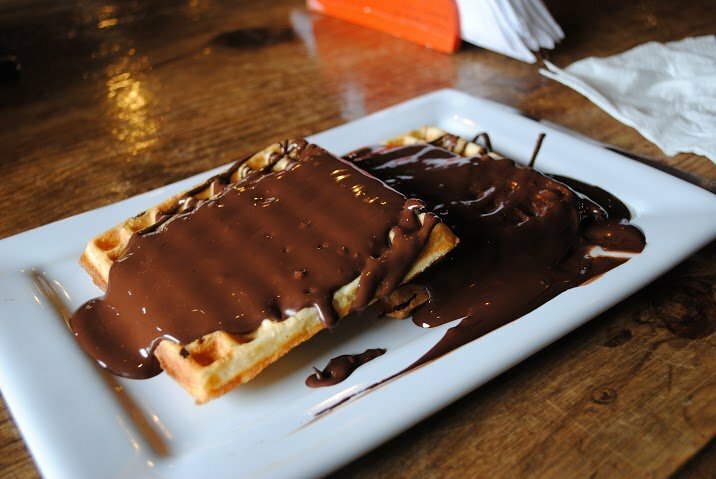 With most bars and restaurants concentrated within in this within Malabia, Cabrera, Thames and Guatemala. My 2 favourite boutique hotels are the Legado Mitico or the Bobo. They both are oozing with charm, local character, excellent service and both with good locations. The Bobo is a little more ‘trendy’ than the Legado but both are lovely. For a mid-range option, the Esplendor Palermo Soho is a great choice. San Telmo gives you the historic ‘barrio’ feel but is also just a stones throw from the city centre (literally, 5 blocks). Although culturally more interesting with its historic cafes, facades and cobbles street, I’ll admit that it might feel a little dirty and daunting if you’ve just stepped off the plane. My favourite boutique hotel in San Telmo is the San Telmo Luxury Suites right in the heart of the neighbourhood. 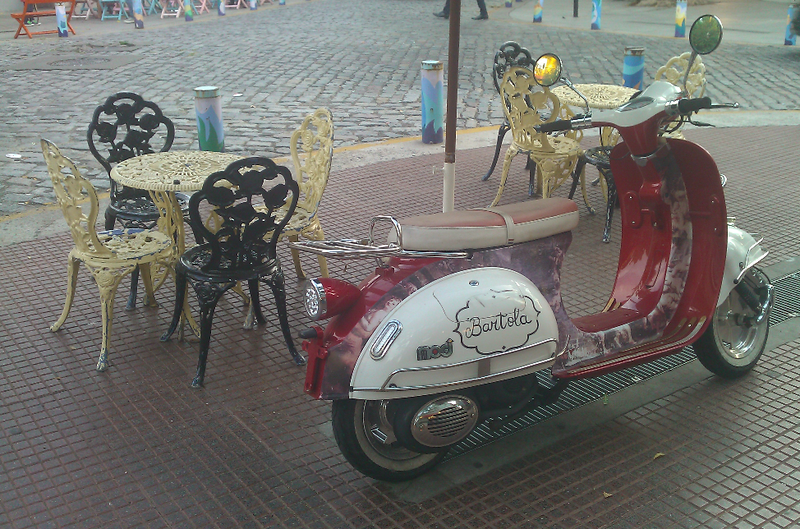 More more budget friendly, midrange options you could choose either the Los Patios de San Telmo or the Babel Boutique. 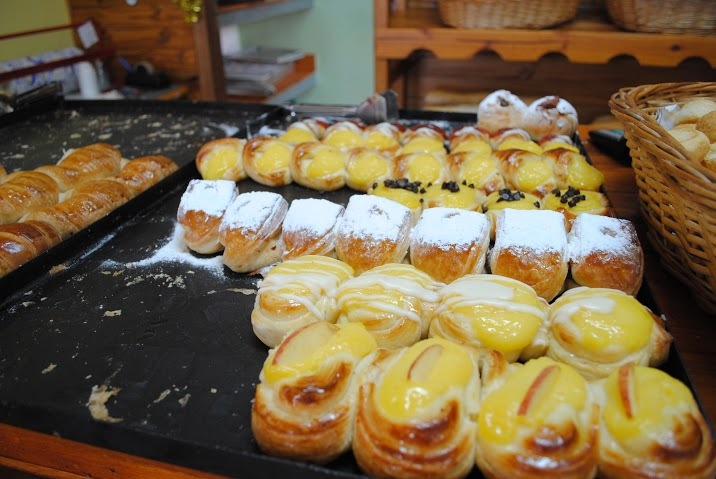 If you are making a visit to Buenos Aires at the start and end of your trip, it might be an idea to stay in Palermo at the start of your trip and in San Telmo at the end of your trip. 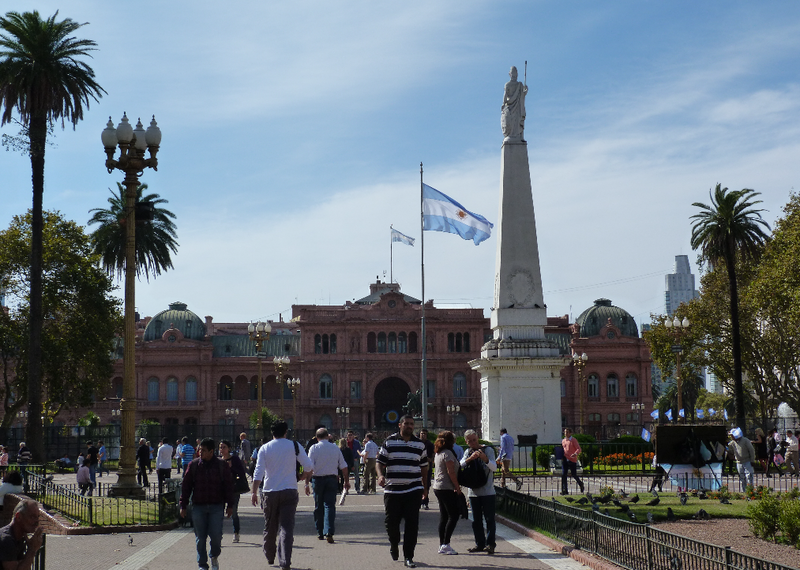 This is the business district of the city where you also find the ‘Plaza de Mayo’, Government Palace and the Obelisc. The streets are small, cramped and rather pedestrian unfriendly but if you have just 1 night (midweek), then staying right in the heart of the city has its attractions. The Continental 725 is a lovely hotel choice right in the centre with stunning views from its roof top bar, a 2 minute walk from the main historic sights and you really are right in the thick of the hustle and bustle that drives this city. Once you’ve decided on your place to rest your head, then you can start to plan a little more with some ideas of ‘Things to Do“. 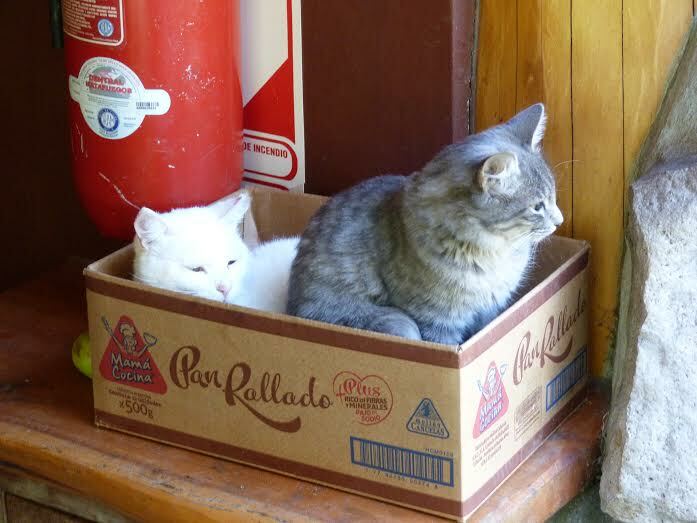 This entry was posted in Buenos Aires, Comment, Commentary, Guides and tagged Buenos Aires, patagonia, Tips, travel on 11th June 2015 by Sally Dodge. 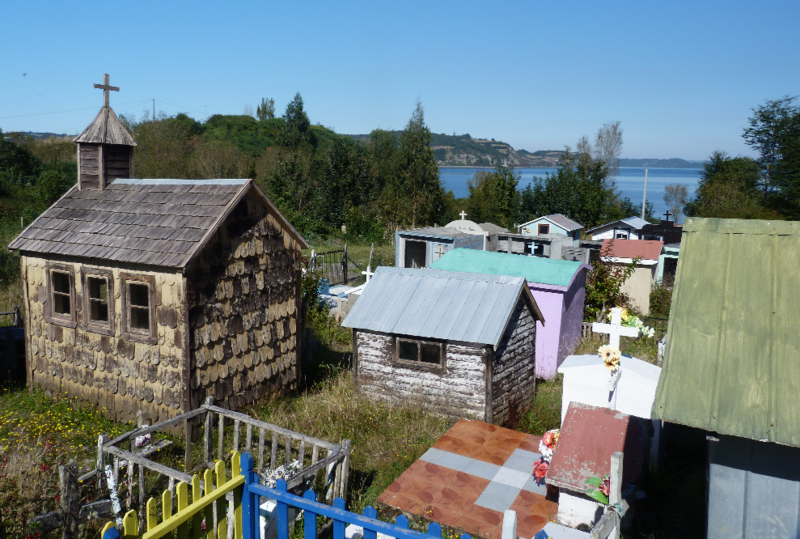 Swoop’s roundup of all things Patagonian across the web this month. Anna Mazurek (@travellikeanna) is a travel photographer and blogger who recently ticked Patagonia off her bucket list. 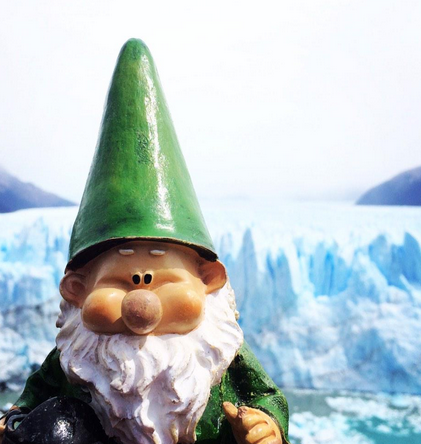 She has some great photo’s of her adventures on her Twitter, including this one of a rather unusual guy she brought with her to the Perito Moreno Glacier. 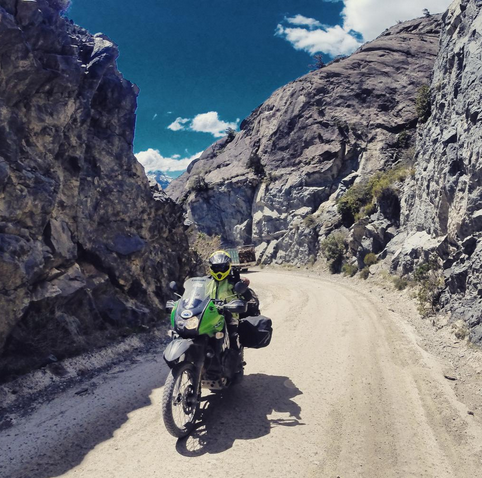 Adventure motorcyclist Mark Mackoviak (@Not_a_Sherpa), posted photo’s to his twitter of his 2014 adventure in Patagonia. 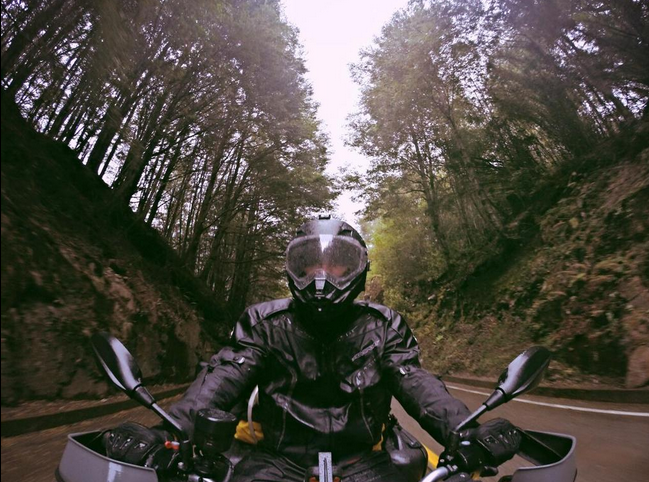 They really give an insight into what it’s like to ride through the Patagonian landscape. 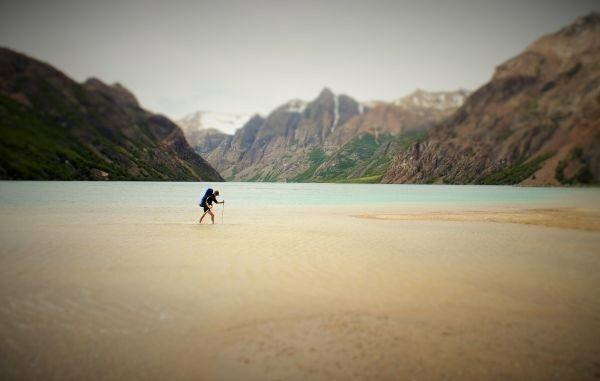 ‘What Patagonia is not’ from the REI blog, gives a great snapshot of why you would choose Patagonia. If you are thinking of travelling to the region this will answer most of your questions and if you would like to find out more get in touch with us! This entry was posted in Uncategorized and tagged patagonia, travel, Travel Blogging on 19th February 2015 by Luke Errington. Meet Harriet, the newest member of the Swoop team. Harriet joined the Swoop team this month. 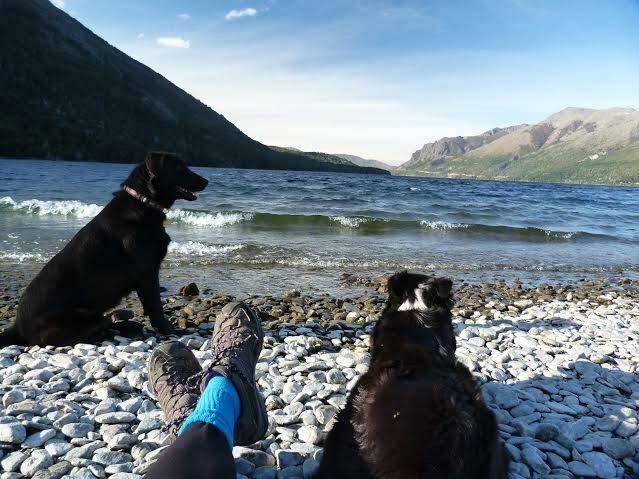 She has cycled, trekked and mountaineered her way through the entirety of the southern Andes and is now working with Sally and Luke to help customers plan and arrange great holidays to Patagonia. 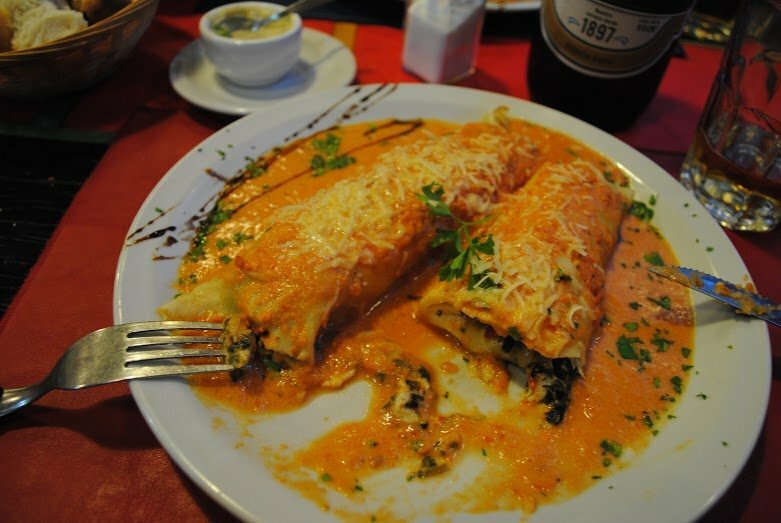 What inspired you to travel South America? I guess stories about South America have always struck a chord with me. 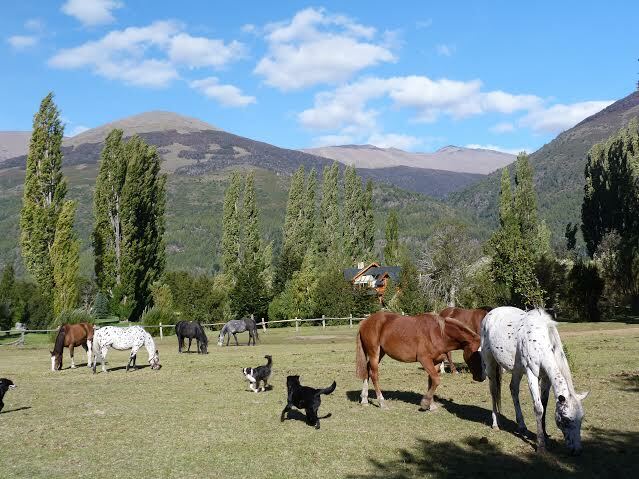 My mother’s family lived in Valparaiso, Chile when she was a toddler and my uncle always told stories of learning to ride with gauchos in Chile. 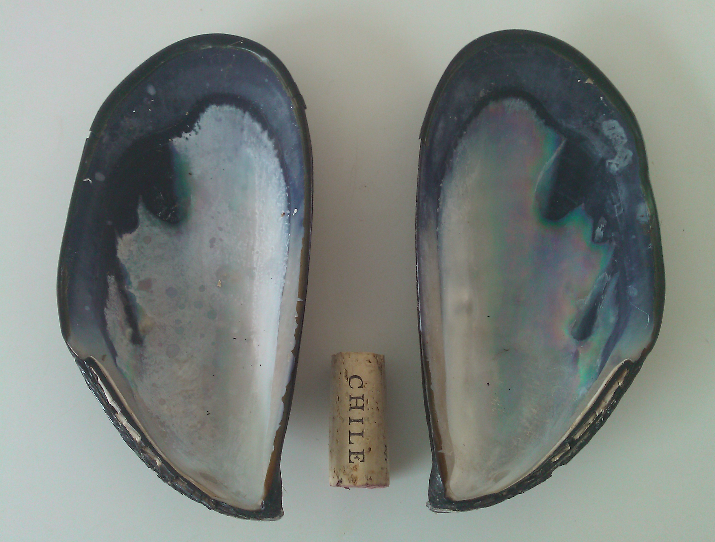 Then my parents visited Chile when I was 14 and I loved the stories they told on their return and I wanted to visit too. So I started to plan and save up for a trip to Patagonia which I made when I was 18. This was my first real wilderness experience and my first taste of trekking. 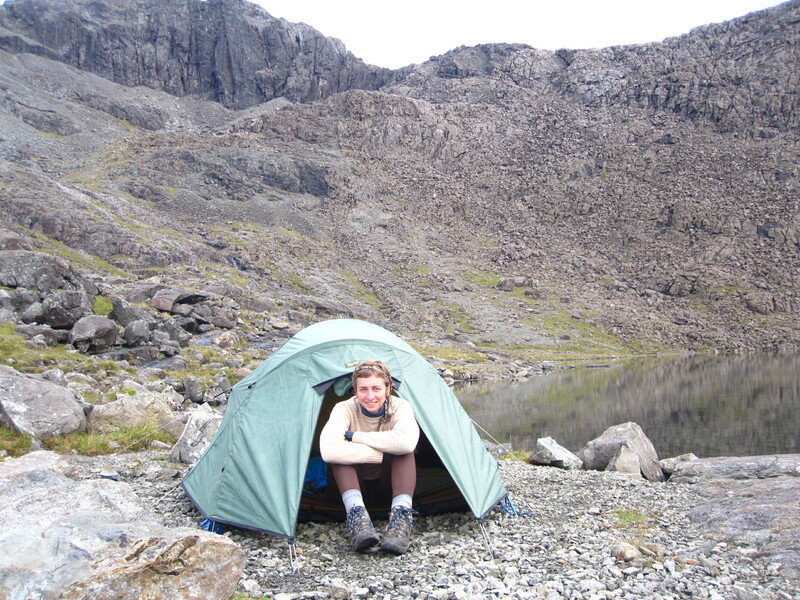 I loved it and have spent as much time as possible in the outdoors (particularly the greater ranges) ever since. I was inspired to return to South America in 2009 by the tales of Janne Corax, a Swedish mountaineer, cycling to and climbing peaks in the Andes and by John Biggar’s excellent guide to climbing Andean peaks. I too wanted to cycle to and climb those peaks! 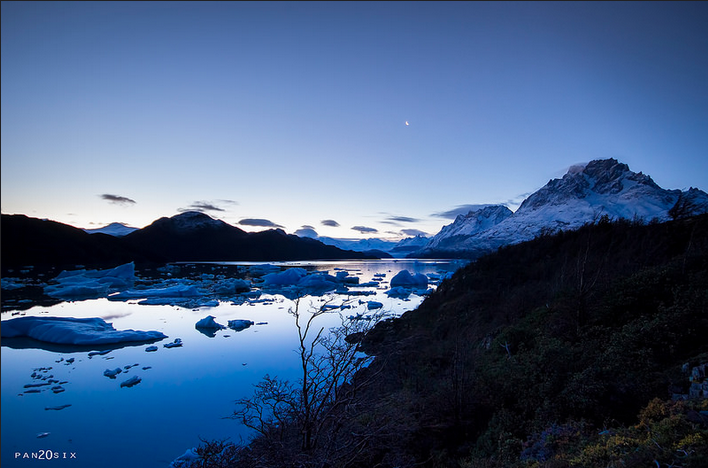 What is it that you love so much about Patagonia? 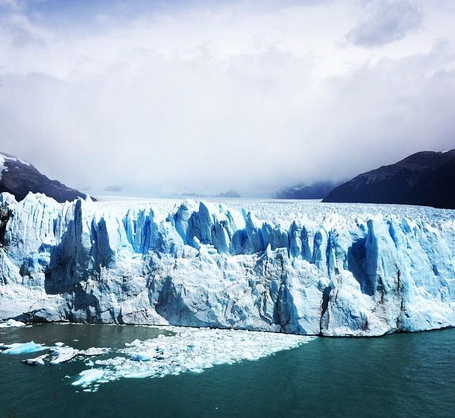 There are few places on Earth where nature is still in control but Patagonia is one of them. It is a place where you feel you have to respect nature because of the scale of the landscape, the constantly changing weather and the way it makes you feel very small and inconsequential. 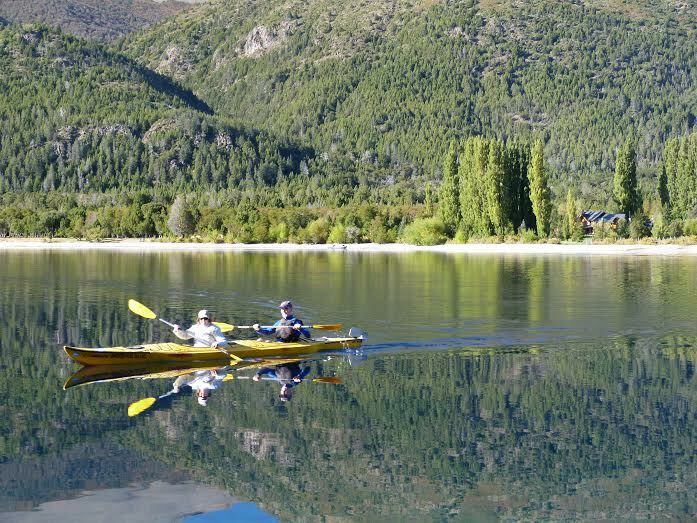 There are huge swathes of Patagonia where no one has been and I find that very exciting and want to explore every corner of it. 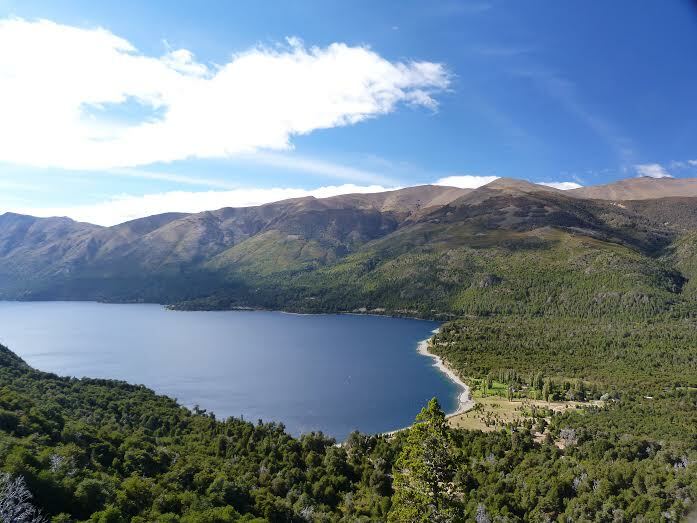 I love the diversity and beauty of the landscapes from the slightly magical (and probably fairy filled) beech forest, to the immense glaciers and dramatic towers of granite, to the open Argentinian steppe. 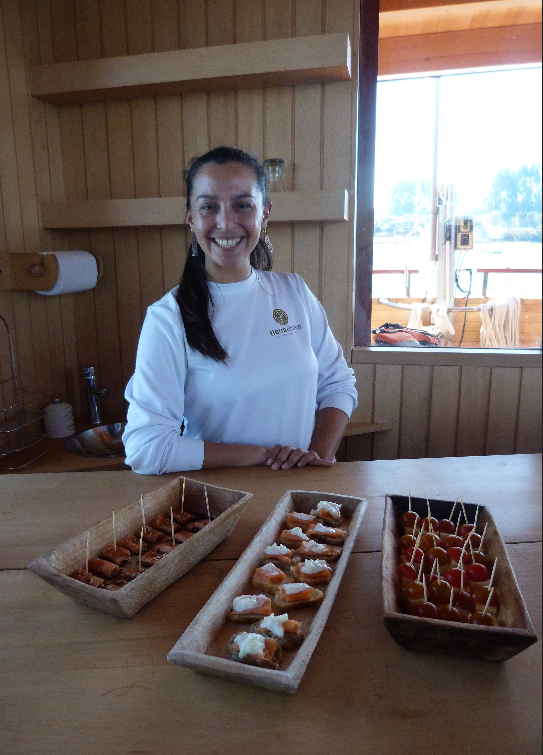 What was your favourite Patagonian experience? In 2009 I set out from Rio de Janeiro on bicycle with my husband Neil. It took 3 months to reach the Patagonian Andes crossing mostly flat open pampa and agricultural land. Suddenly in the distance the monotony of the skyline was broken by a thin line of white snow mountains on the horizon. We had reached the Andes. We whooped and started to sing as the ground became more and more undulating. Then a huge white cone that seemed to stand much higher than the rest appeared on the skyline. We cycled towards Volcan Lanin for a couple of days, fell in love with it and decided we must climb it. 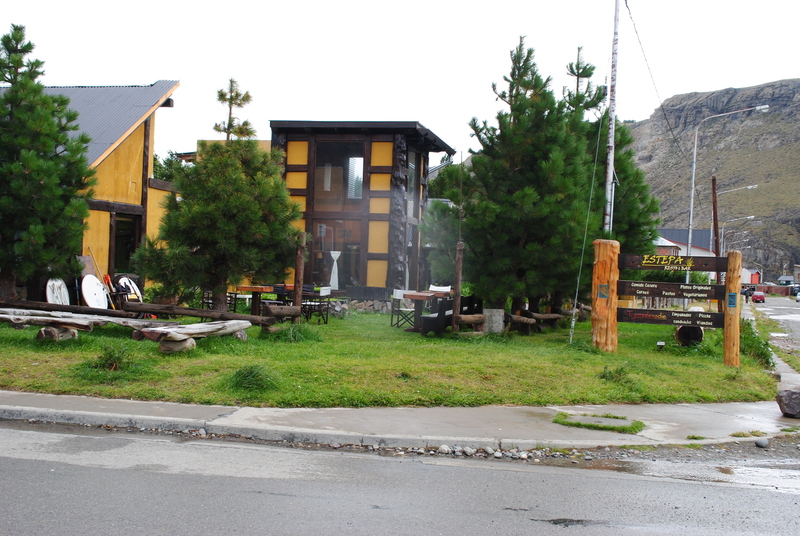 We rented mountaineering gear and pedalled off with several days food towards the peak. Stashing our bikes at the bottom, we pulled on our boots and set off for a mountain shelter high on the volcano. The next morning we started early before the sun had risen so that the snow would be firm under our crampons. As the sun came up all the lakes of the lake district on both sides of the border began to shimmer orange and endless peaks came into view. 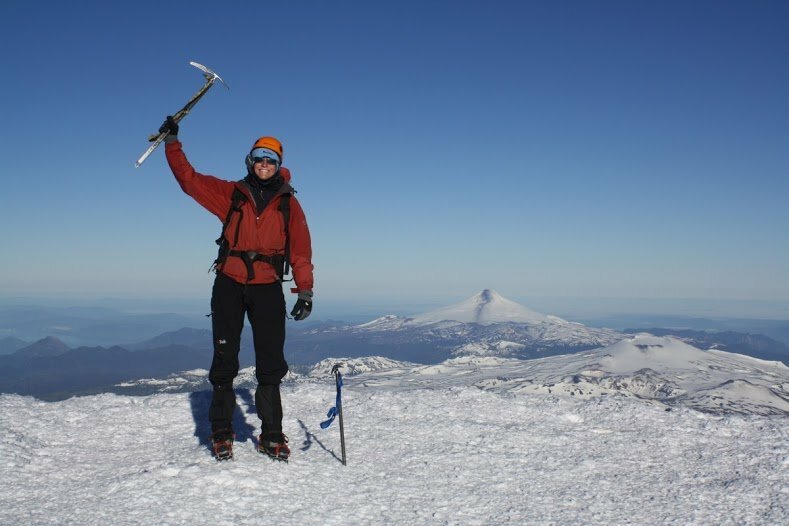 Warmed by the sun and cheered by the views we reached the blustery summit at all the conical volcanoes around us. 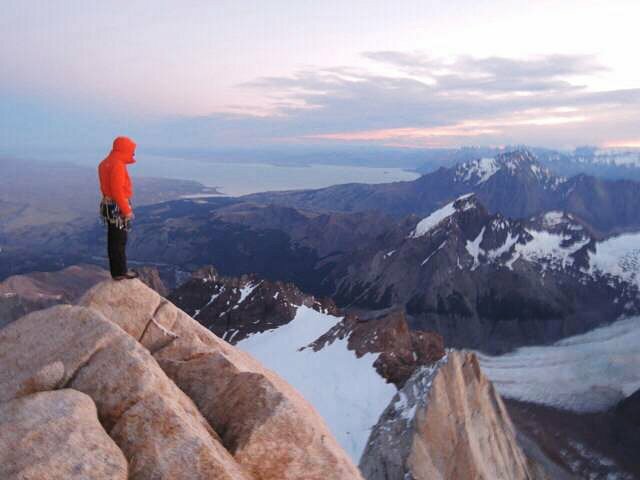 Wow, looking down at Patagonia laid below me is a sight that I will never forget. With Lanin in the bag, a 2000m descent and a 60km cycle back to civilisation was all that stood in front of us and a huge hunk of Argentinian steak and bottle of vino. We legged it down the mountain, cycled back to town and arrived just after dark. That steak tasted amazing! 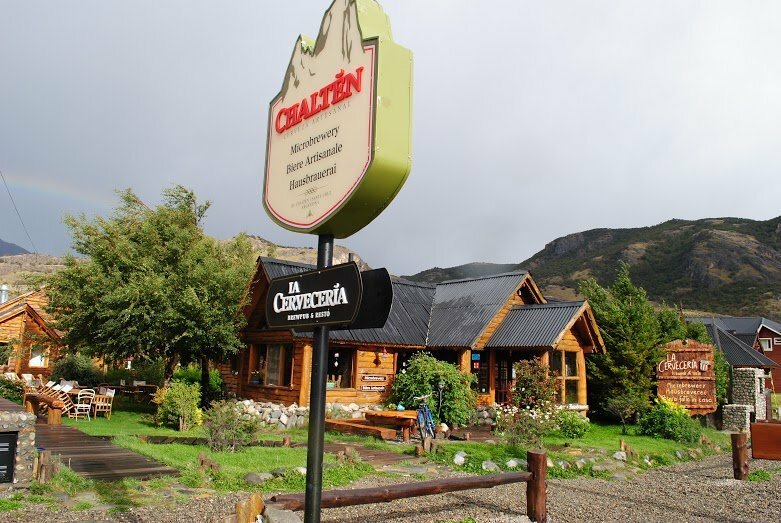 My favourite town is probably Chalten. There are few towns with that magnificent setting and that you can leap out of a cosy bed and be under hanging glaciers in time for lunch. 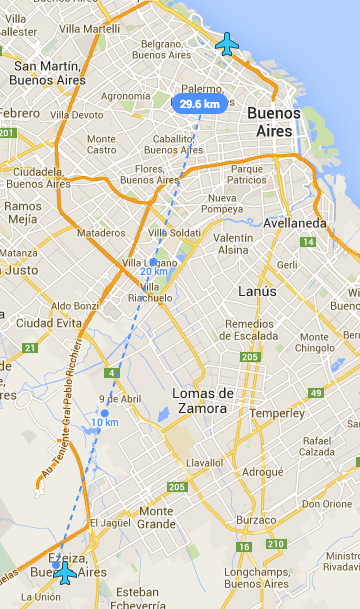 My favourite area is probably Aysen. 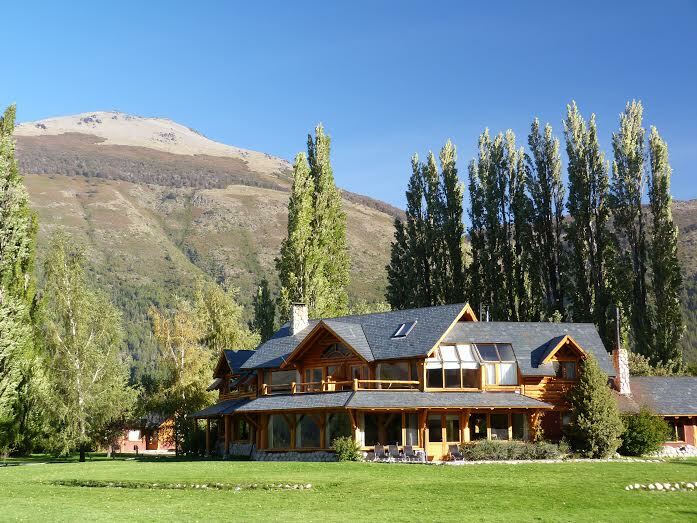 There is a remote, rustic, end of the word vibe there that you don’t get in the more touristy areas of Patagonia. The people are wonderfully down to earth and they don’t seem to need much of an excuse to have an asado (lamb BBQ). 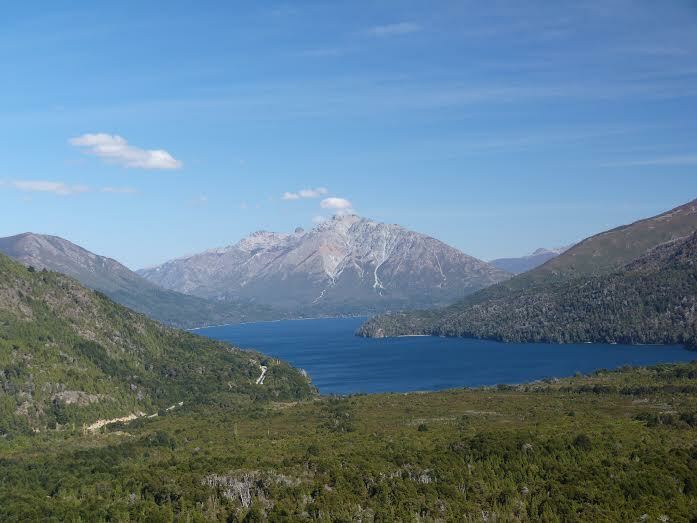 The views from the Carretera Austral are stunning with General Carerra lake and Parque Queulat particularly memorable but there is also some beautiful hiking that lies just off the road that is often overlooked and is a haven for those looking for off the beaten path hikes. 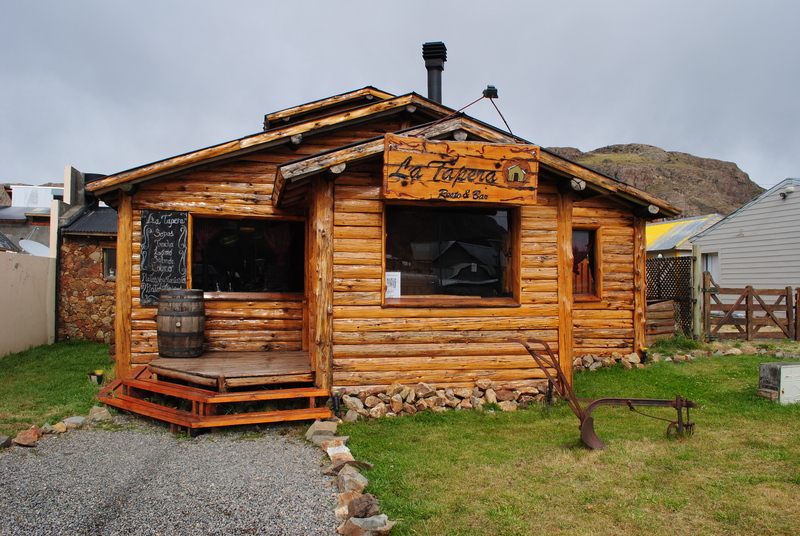 I also have a soft spot for Aysen because it is where I discovered real wilderness for the first time and where I met my husband. 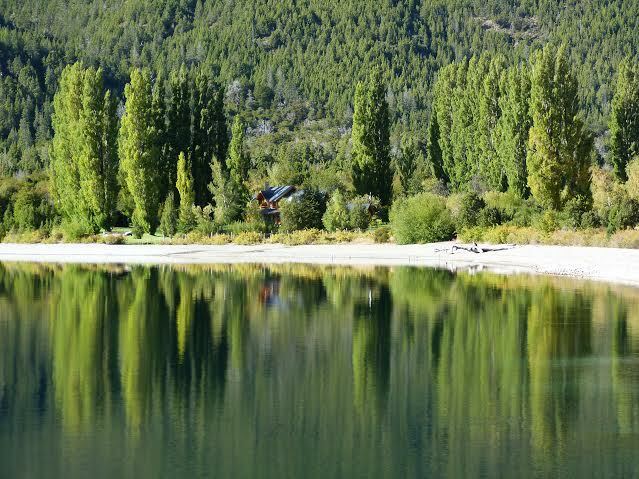 I also love Lanin National Park, north of San Martin de Los Andes in Argentina and in particular Lago Quillen. 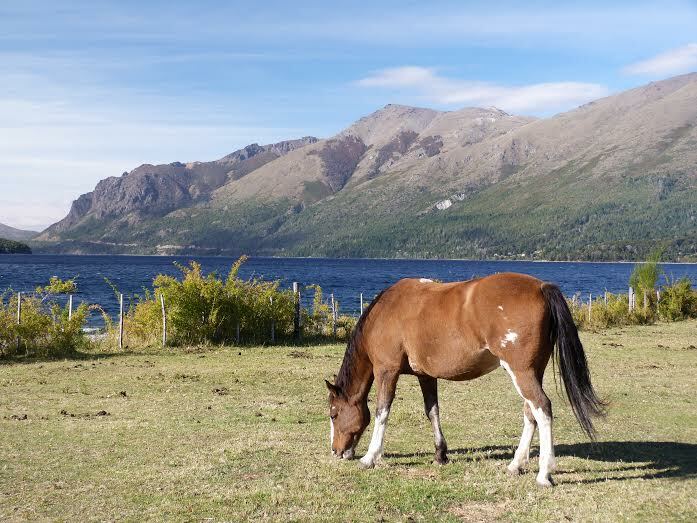 This entry was posted in Uncategorized and tagged carretera austral, El Chalten, patagonia, travel on 16th October 2014 by Harriet Pike. 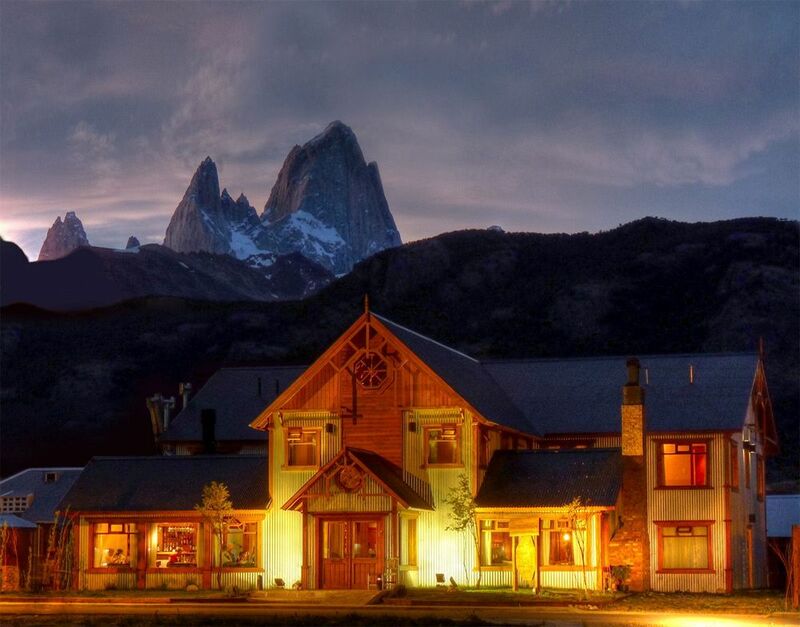 Swoop’s roundup of all things Patagonian across the web this week. 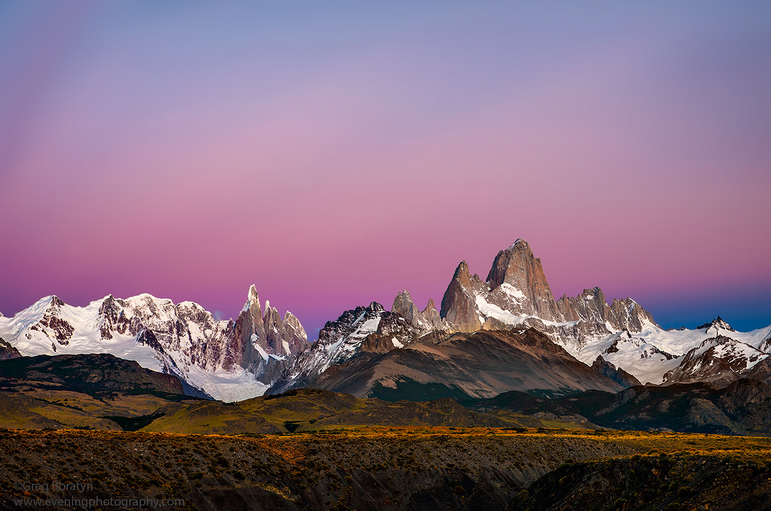 ‏@GregBoratyn takes wonderfully colourful shots of Patagonia that look at how the changing light effects the landscape. You can take a look at the rest of his work at his website. @dbustosp posted this fantastic photo of Lago grey on his instagram account along with some awesome shots of Torres del Paine. Find out more about Largo Grey . Glacier lake by night ~Torres del Paine National Park, Chile. National Geographic Beyond the Edge blog. Alex Honnold and Tommy Caldwell talk about their “Extreme Backpacking” on Patagonia’s Fitz Traverse. Follow in their footsteps and plan your own Fitz Traverse adventure. 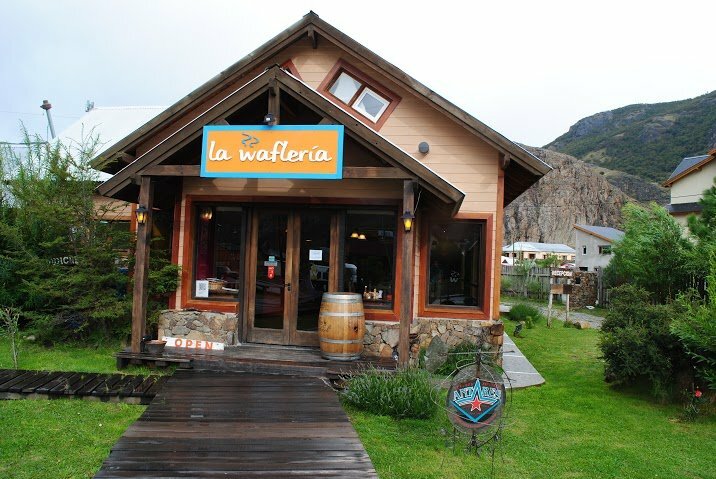 This entry was posted in Uncategorized and tagged Hiking, patagonia, Torres del Paine, Torres_del_Paine, travel on 8th August 2014 by Luke Errington. Patagonia is all over the internet with bloggers, adventurers and social media addicts posting all about their experiences and sharing their photographs. Each one providing more inspiration for a Patagonian adventure! This week the discovery of the ‘Titanosaur’ was all over the news. 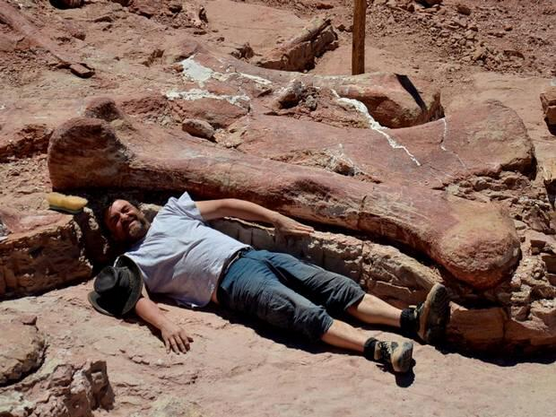 Discovered in La Flecha, this epic creature could have weighed up to 77 tons. 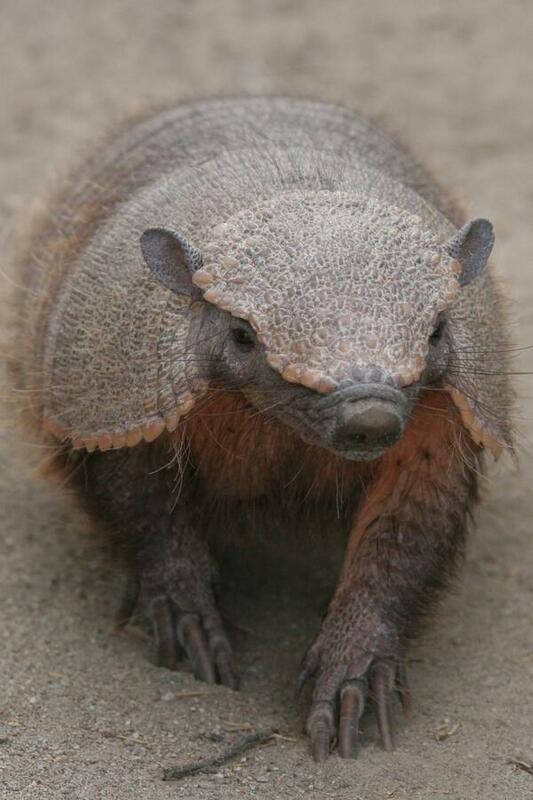 @worldlandtrust posted this great picture of a hairy Armadillo. This picture was taken in their partners reserve in Patagonia. 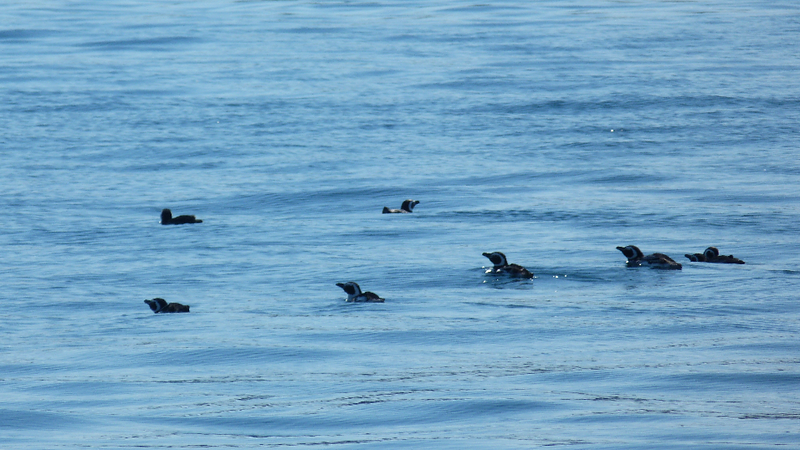 Find out more about the Worldland trust. 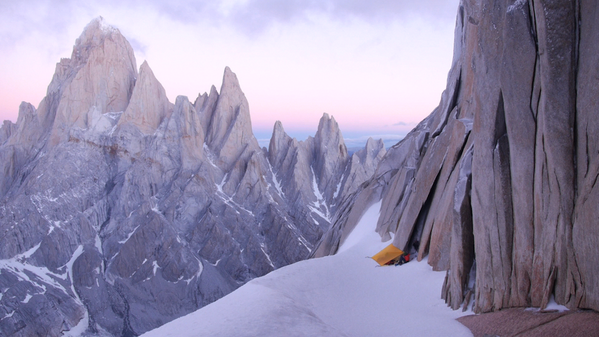 A great photograph from @Arcteryx of @alpineartist & Marc Andre Leclerc on their latest climb in Patagonia. 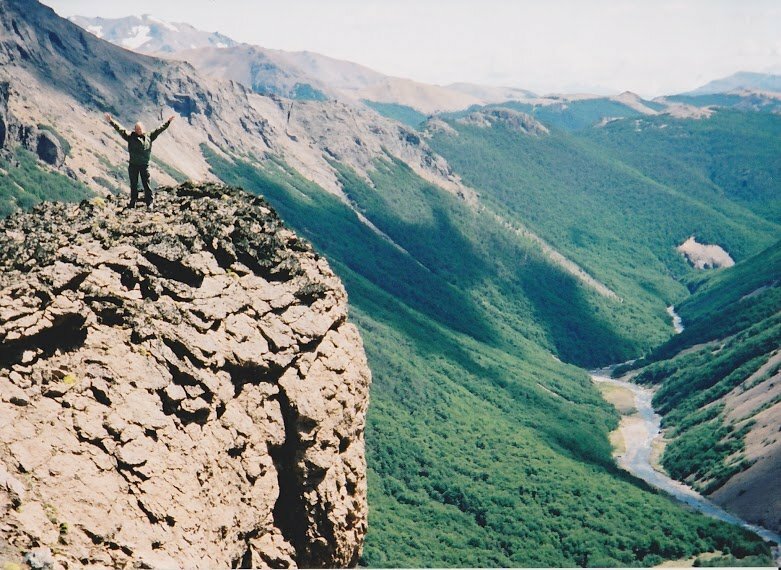 25 photos that will make you want to hike Torres del Paine. 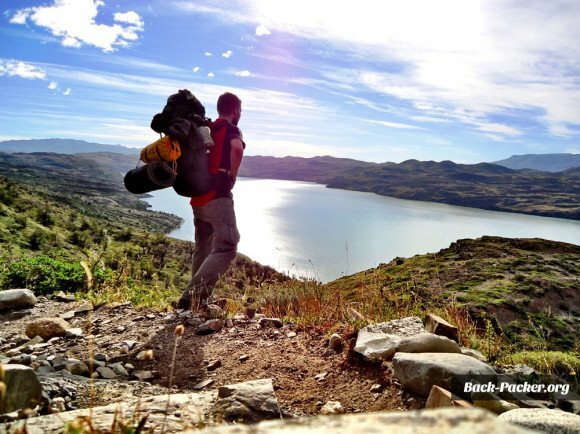 Backpacker Steve has some brilliant tips ,videos and advice for independent travellers and has a number of blog posts dedicated to trekking in Patagonia. If you want to experience the same kind of trip with the help of some experienced guides take a look at Swoop’s trekking page. 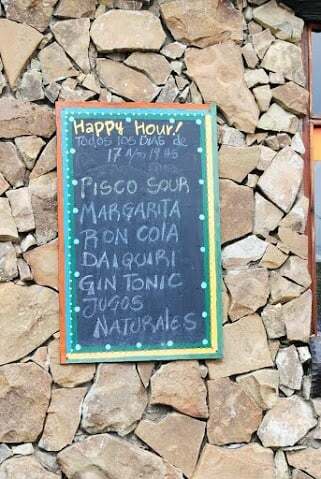 This entry was posted in Comment, Travel Tips and tagged patagonia, Tips, Torres_del_Paine, travel on 23rd May 2014 by Luke Errington. Yesterday afternoon we were lucky enough to have Elsa Hammond visit us in the Swoop office, and inspire us with her extraordinary plans: Elsa will row solo and unsupported 2,400 miles from California to Hawaii. We thought people would be interested to hear about her challenge that lies ahead, her environmental goals and the opportunity to recognise an inspirational woman in their own lives. Elsa, you’ve done a lot of exciting things, and visited lots of places. What are the top 3 most inspiring places you’ve been to and why? Wow – that’s a difficult one to start with! I’ve been to so many different places that inspire me for lots of different reasons. There are a lot of amazing places in this world, so I’ve decided to pick three that both inspired me when I visited them, and continue to haunt my thoughts long afterwards. For sheer variety and a sense of freshness and excitement. I spent two months travelling both islands back in 2005, and it wasn’t nearly enough. I felt completely at home and constantly excited at the possibilities this modest-sized country holds. From skydiving to kayaking with dolphins, black water rafting to home-made hot tubs, this was somewhere I felt welcomed, challenged and soothed. Of all the places I’ve visited, this is perhaps the one I’d like to return to the most. This has always been a very special place for me, even though I only visited it for the first time half-way through my life-so-far. For me the whole feel of the place is caught up with stories and poems that I love, and I find it difficult to separate it completely from these. There is a softness about the light and the shadows, the rain, the shapes of the great hills, and the feel of the water. 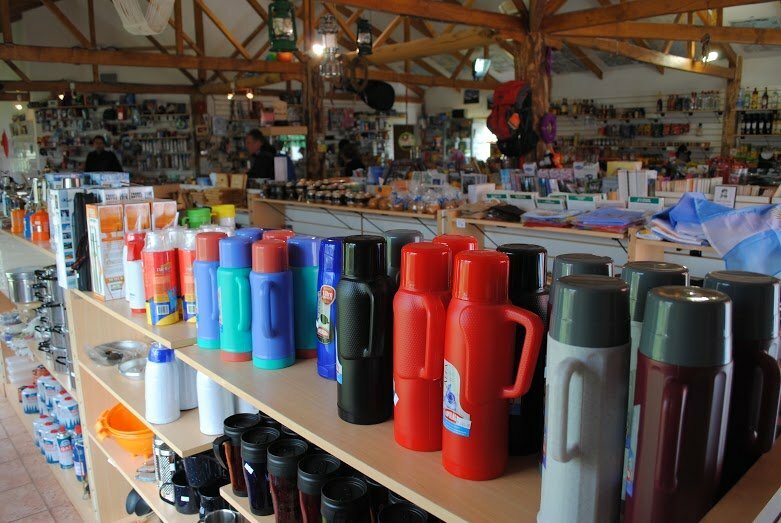 It’s brilliant for camping, hiking, climbing, swimming, kayaking, and sailing – adventure right on our doorstep. I was recently looking through some old photos of me as a child growing up in Italy, and noticed that I had a couple of postcards of the Lakes up on the wall. Seeing them in the photo, I remembered those postcards well: I used to look at them for hours, imagining the adventure that lay behind the pictures. The Lakes were alive for me through Arthur Ransome’s Swallows and Amazons stories long before I ever went there. My first visit was when I was fourteen. We spent three weeks camping on the shores of Coniston Water and miraculously we didn’t have a day of rain. None of the pictures I can find of this place really manage to convey the sense of wildness, greatness, age, peace, noise, growth, damp, movement and stillness. It is a huge wilderness of pristine primary rainforest, a self-contained ecosystem that has never been permanently inhabited by humans. Plants grow at astonishing speed, and the insects are huge. The sound of gibbons making their morning call across the valley is something that still stays with me. I love the way the whole jungle sounds alive with insects, birds, animal noises, branches, rivers and rain. When it rains, it really rains. Rustles in the canopy above mean monkeys swinging through the trees, and flash-floods can increase the height of the river by six feet overnight. It is one of the busiest places I’ve been in terms of constant life, but also one of the most peaceful. You are continually surrounded by wildlife, but hardly ever see it – it is all sounds, rustles, calls, and breaking twigs, with the perpetrator remaining constantly elusive. You’re about to embark on a solo row across the Pacific Ocean. What’s involved and what are you most looking forward to? This June I’ll be starting the longest and most difficult challenge of my life up to now – rowing alone and unsupported across the Pacific Ocean from Monterey Bay, CA to Hawaii. I will be at sea for around three months, and will row up to 16 hours a day to cross 2,400 miles of ocean. 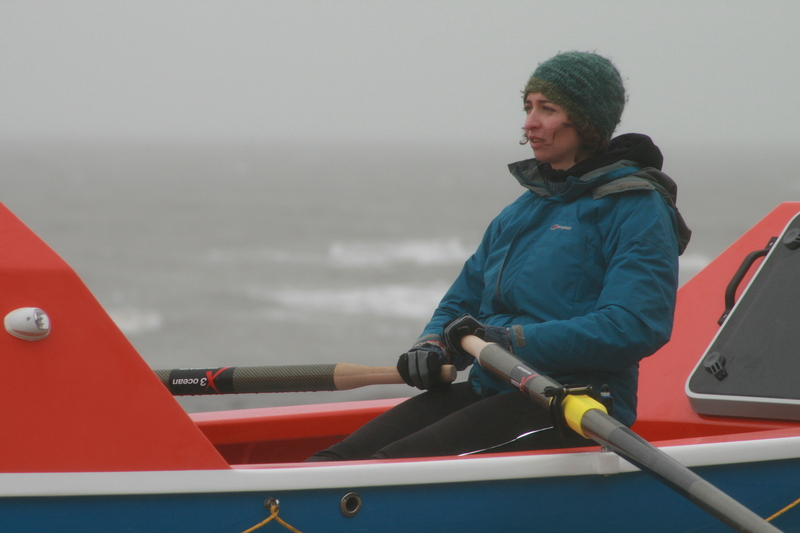 This will be a different kind of rowing from the sort of river rowing I did at university – the focus is on endurance, survival, and keeping going for hours, days and months on end. 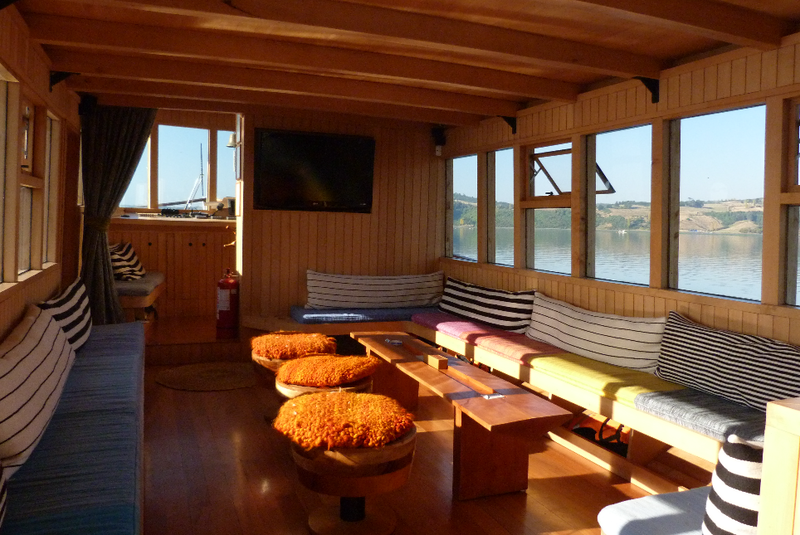 My boat is different too – 24 foot long, with two small covered cabins (one to sleep in and one for storage) and enough space to store 3-4 months’ worth of food. People ask me about the fact that it’s a long, long way, and whether this is daunting. It is a long way, and in a very foreign environment, but I think part of appeal is learning to accept and even embrace the difficult parts, and slowly learn to thrive somewhere that I will initially find incredibly difficult. I’m also really drawn to spending a long time completely on my own, taking the time to appreciate subtle changes in the world around me. Beyond completing the row, what are your goals for this adventure? This is something I’ve wanted to do for a long time, and I’m mainly aiming to challenge myself and learn to live in a difficult environment. It would be nice to be the first solo woman ever to complete this race. More importantly, however, I will be using this row to raise awareness of plastic pollution and to celebrate inspiration women. I’m supporting two charities: The Plastic Oceans Foundation and The GREAT Initiative, and will be fundraising for them once I have covered my core costs. In terms of practical action, I’m turning into a citizen scientist for the row, collecting samples for a microplastics study throughout the adventure. I will also be speaking about the adventure and the issue of plastic pollution in schools on my return. Finally, I’m also hoping to see each mile of the row dedicated to an inspirational woman, whether that’s someone’s mum, someone famous, or even someone fictional. 2400 miles is 2400 inspirational women – see below for how you can choose a mile to dedicate. 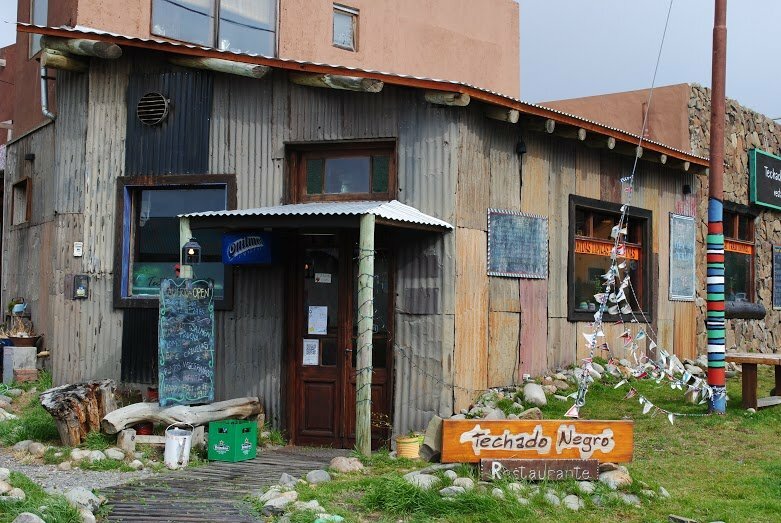 What do you know about Patagonia and what’s it like in your opinion? I actually know very little about Patagonia, although I’ve always felt drawn to it. It sounds wild to me, bursting with nature, mountains, contrast and extremes, and on the edge of the great Pacific Ocean. One day I’d love to go there – perhaps on a bicycle and definitely with enough time to explore properly. What do you enjoy doing the most apart from rowing? 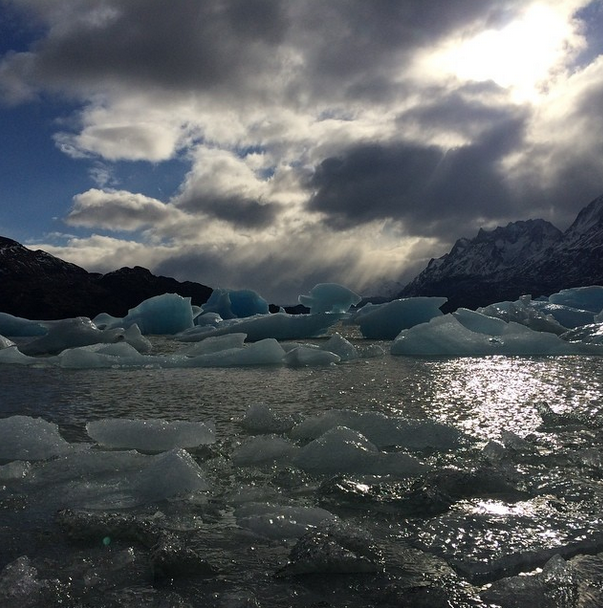 Ever tried hiking on a glacier or climbed a mountain? There are so many things I like to do – I don’t imagine I’ll ever be a specialist in one area. I love variety and trying new things. 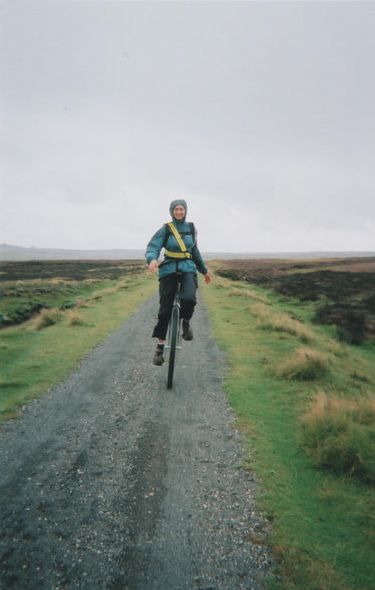 I’ve enjoyed adventures short and long on foot, by bicycle, swimming, up mountains, by unicycle, sailing, climbing and hitching. Although I love the physical challenge and the freedom of undertaking an adventure under my own power, I also really do enjoy hitching. The sense of freedom is different but still very much there. The journey is an adventure, as you never know how long it will take, what route you will follow, who you will meet, when the next lift will come along. If you’re feeling at all cynical, hitching is a sure-fire way to reignite your faith in people’s kindness and generosity. Don’t be limited by cars, either – the longest lift I’ve had lasted a week and crossed an ocean! 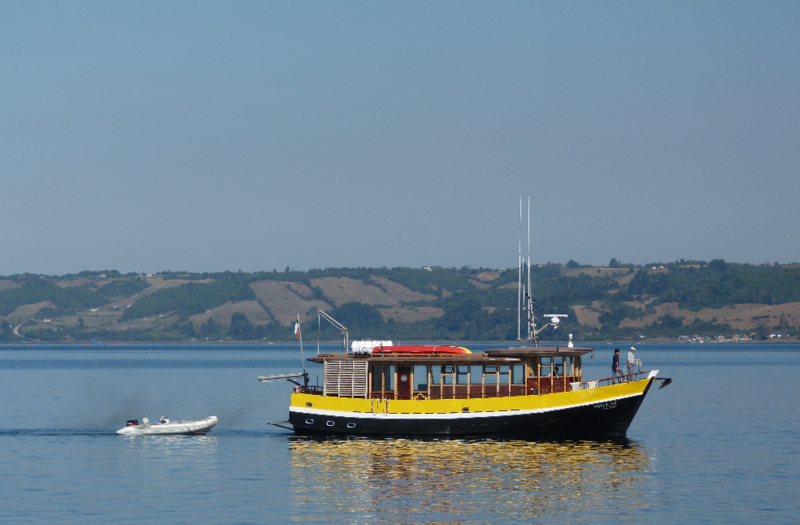 So once you have finished rowing the Pacific, what’s next? That is a continually tempting question at the back of my head, but also one I’m trying not to think about too much…at least, not until I’ve actually begun this one! I know how easy it is to get carried away with maps and lists and ideas, and I need to keep the focus at the moment, as it is mere weeks before I row into a huge ocean completely alone. Ideas that have crossed my mind include some long-distance cycling, more hitching, kayaking, or maybe even a combination. I’ve always been drawn to the frozen wastes of the Arctic or Antarctic as well, but am determined that at least the next adventure will cost less than this one, so I might have to put snow and ice on hold for a while! We understand it’s a solo endeavour, but is there any way we can get involved? Yes! Go to www.2400women.com and dedicate a mile of the row to a woman who has inspired you! 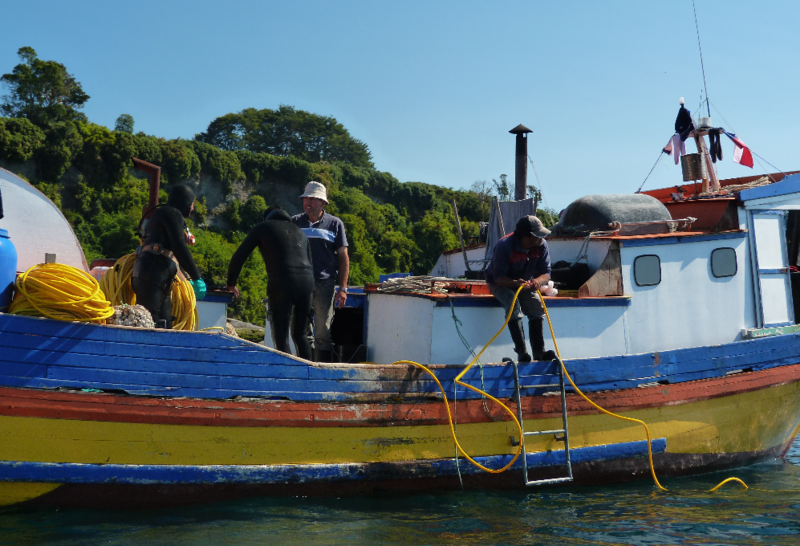 Her name will be on the website and will be written on the boat, and she will also receive a certificate of dedication. An ideal gift, with a twist of adventure. Let all your friends know about the opportunity to dedicate a mile, and follow the adventure on Facebook, Twitter, and my blog. For more information you can watch My TEDx talk about the row. If you’re a business and reading this, please contact me on [email protected] to discuss sponsorship opportunities. 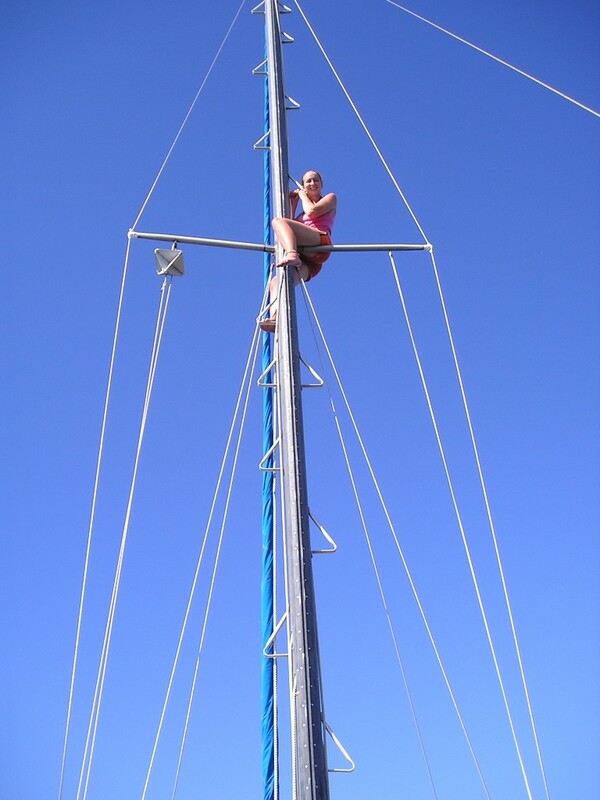 This entry was posted in Guest posts and tagged Elsa Hammond, Pacific, travel on 2nd May 2014 by Luke Errington.